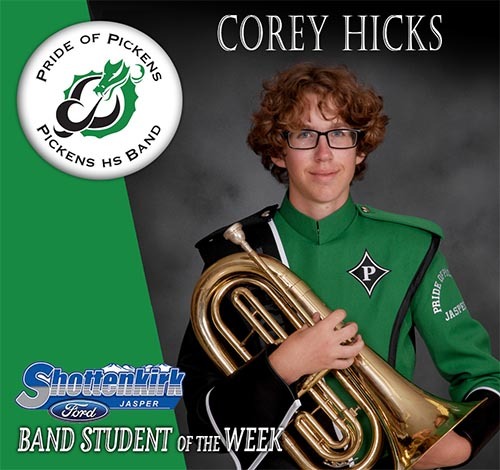 Our Pickens High School Band Student of the Week is Corey Hicks. Corey is a sophomore and a member of the baritone section in marching band and Symphonic Band. Corey has shown great improvement since he came in as a freshman and is a joy to have in band class. He has a great sense of humor and he always cares for others. We are thrilled to have Corey in our band family!